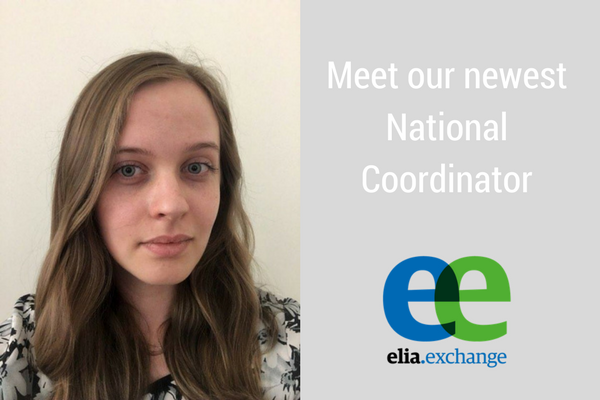 We’re pleased to introduce Anna Kochanowska, the new National Co-ordinator (NC) in Poland for Elia Exchange, our programme that bridges the gap between the academic and business worlds. Anna is a Project Manager at Lacrosse Language Consultancy and has worked at management level for three years, with previous experience in text proofreading and term base creation. She graduated from the University of Warsaw with degrees in Translation at the Institute of English Studies and in Spanish Culture and Literature at the Institute of Iberian and Ibero-American Studies. Anna’s education doesn’t end there, however, as she plans to do postgraduate project management studies to gain a more extensive knowledge of the field. Anna’s role for Elia Exchange (EE) will involve organising EE Forums in Poland, promoting the programme locally and maintaining connections between EE Academic Members and local language service companies, with the goal of supporting the development of up-and-coming language professionals and the future prosperity of the language industry. To find out more and sign up to EE, click here http://elia-exchange.org/for-language-service-companies/. We’d also like to say a huge thank you to outgoing NC Jurek Nedoma of lidolang specialist translations for his dedication to EE in Poland.